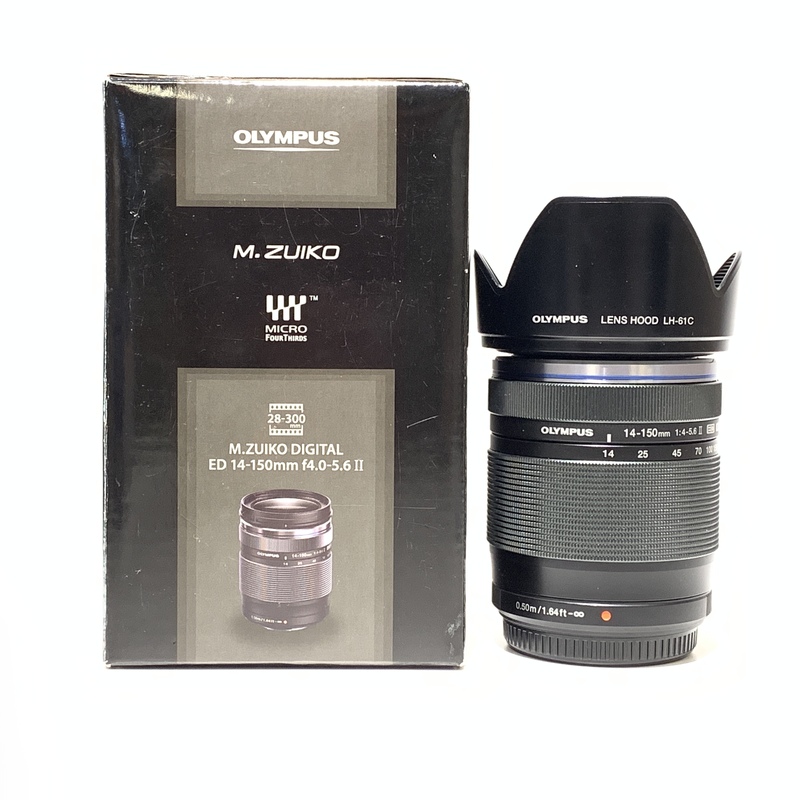 Designed as a one-lens solution, the M.Zuiko Digital ED 14-150mm f/4-5.6 II Lens from Olympus is an extremely versatile all-in-one zoom for Micro Four Thirds mirrorless cameras. 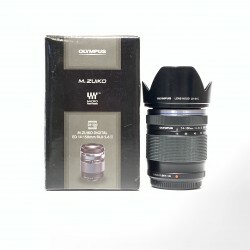 Providing a 28-300mm equivalent focal length range, this lens spans a wide-angle to telephoto reach to suit photographing in nearly any situation. Despite its reach, the lens still remains compact for easy portability, and it utilizes a sophisticated optical design, comprised of various aspherical, low dispersion, and high refractive index glass elements, to reduce aberrations and distortion for high sharpness, clarity, and color accuracy. A ZERO coating has also been applied to suppress flare and ghosting for improved contrast when working in strong lighting conditions. Additionally, this 14-150mm lens also sports a Movie & Still Compatible (MSC) AF system that is quick and quiet, and has a weather-resistant construction to suit working in inclement weather conditions. Spanning a wide-angle to telephoto range, this all-in-one zoom is designed for Micro Four Thirds mirrorless cameras and provides a 28-300mm equivalent focal length. One Dual Super Aspherical element, one aspherical element, two E-HR (Extra-High Refractive Index) elements, and one high refractive index element are used to reduce spherical aberrations and distortion throughout the zoom range for increased sharpness and resolution. An EDA (Extra-Low Dispersion Aspherical) element and one extra-low dispersion element are also used to reduce chromatic aberrations and color fringing for improved clarity and color accuracy. Dust-, freeze-, and splash-proof design ensure the lens' performance in inclement and harsh conditions.